What links zebras to the Second World War? What connects partying to mental illness in Victorian Britain? And what ties the bed to the expansion of the British Empire? The answers to these questions and many more that will have never crossed your mind are being revealed in a series of podcasts, which aims to unlock history in ways you never dreamt possible. 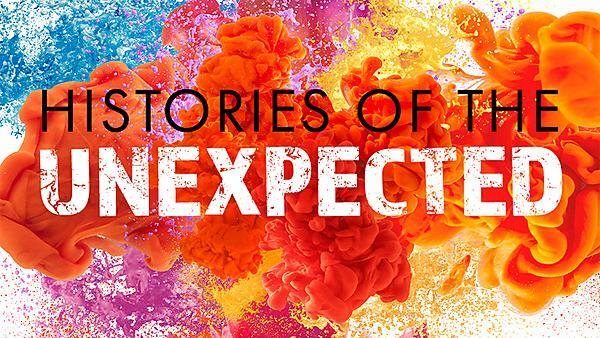 Histories of the Unexpected is the brainchild of Dr Sam Willis and Professor James Daybell, and is being broadcast on the hugely successful Dan Snow’s History Hit. You will be able to click on links below to listen to the podcasts on iTunes, with topics up for discussion during the series including windows, the orange, boxes, gloves, paperclips, dragons, the toilet and blood. James Daybell is Professor of Early Modern History at the University of Plymouth, Fellow of the Royal Historical Society, and Director of the University’s Arts Institute. A world-leading academic and author, he teaches at both undergraduate and postgraduate level on modules relating to his research interests, which include Early Modern British and European History; Gender and Women’s History; and English Renaissance literature. He has been presented with a number of international awards and fellowships and has produced eight books and more than 30 articles and essays, with current projects including books on the family and materials of memory; gender and archives; and early modern gloves! An Honorary Research Fellow at the University of Plymouth, Dr Sam Willis is one of the country’s foremost historians. Passionate about the subject from an early age, he completed a PhD in Naval History, and then an MA in Maritime Archaeology, before working on the Hornblower TV series and on Channel 4’s award-winning film Shackleton. His first presenting role came in 2012, with Nelson’s Caribbean Hell Hole, a film for BBC4 about a mass sailors’ graveyard on a beach in Antigua. Sam has previously worked with masters students at the University of Plymouth on projects around public history, and from September 2016, is replicating that for undergraduate students on the BA (Hons) History course. Surely there’s nothing unexpected about the past? About History? Aha, well Histories of the Unexpected adopts a new approach to exploring our past. Gone is the traditional linear plotting of battles, monarchs and political movements. Histories of the Unexpected argues that everything has a history. The history of the itch, the history of crawling, the history of clouds or of lightning, or of zombies, or zebras or holes or perfume or rubbish all have fascinating histories of their own, histories that can change the way you think about the past and present. Find out about the unexpected the history of the window, how it's linked to the 30 years war, and other extraordinary historical connections. Find out about the unexpected history of the orange, how it's linked to the Gunpowder Plot and other extraordinary historical connections. This episode is all about the unexpected history of smoke. Which is all about state craft and diplomacy. It's ritualised smoking of the peace pipe. And it's to do with smuggling and public execution. All about power and politics, the perfumed glove as a political gift, the history of the hand, and the history of touch. It's also about explosions and the Japanese industrial revolution.